Item # 298390 Stash Points: 5,495 (?) This is the number of points you get in The Zumiez Stash for purchasing this item. Stash points are redeemable for exclusive rewards only available to Zumiez Stash members. To redeem your points check out the rewards catalog on thestash.zumiez.com. 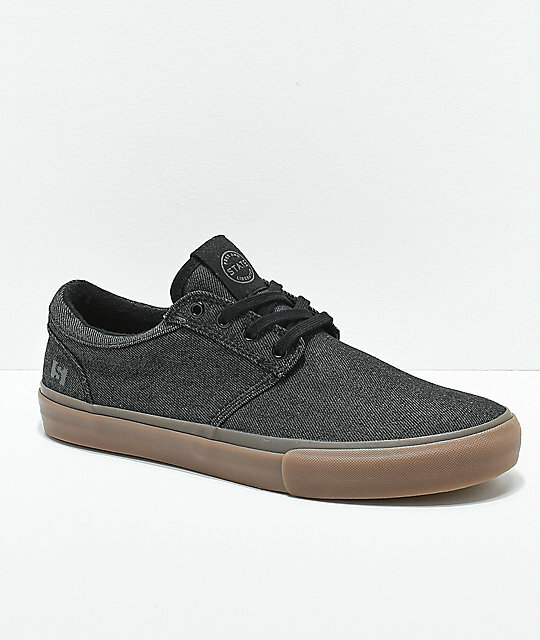 Simple in aesthetic and composition the Elgin Grey and Gum Denim Skate Shoes have a double stitched denim upper with a seamless toe box. 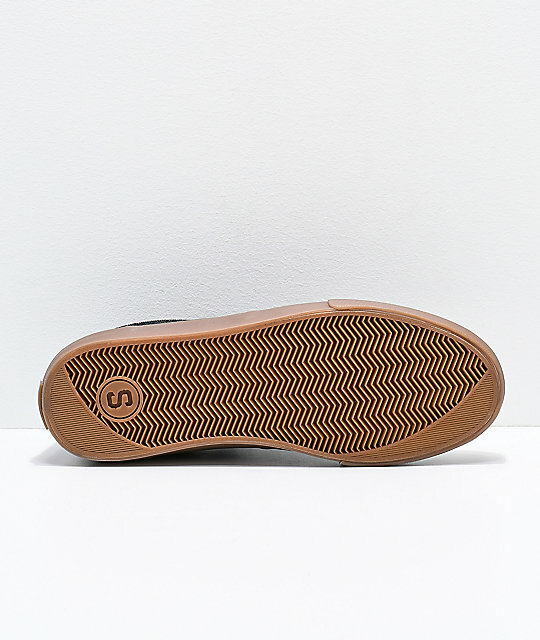 Built for skateboarding performance, the Elgins have a double wrap vulcanized construction for optimal board feel and strength along with the added benefit of State Footwear's Duraflick construction, a thin perforated rubber layer for added abrasion resistance. 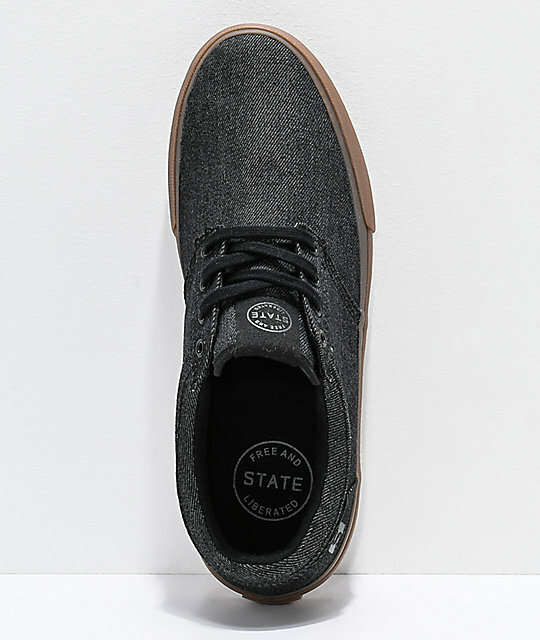 Elgin Grey and Gum Denim Skate Shoes by State. 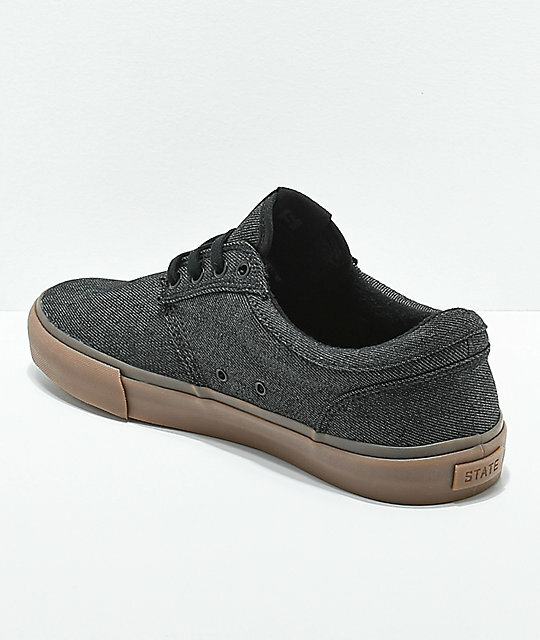 Denim upper with double stitching throughout sidewalls and back of heel.